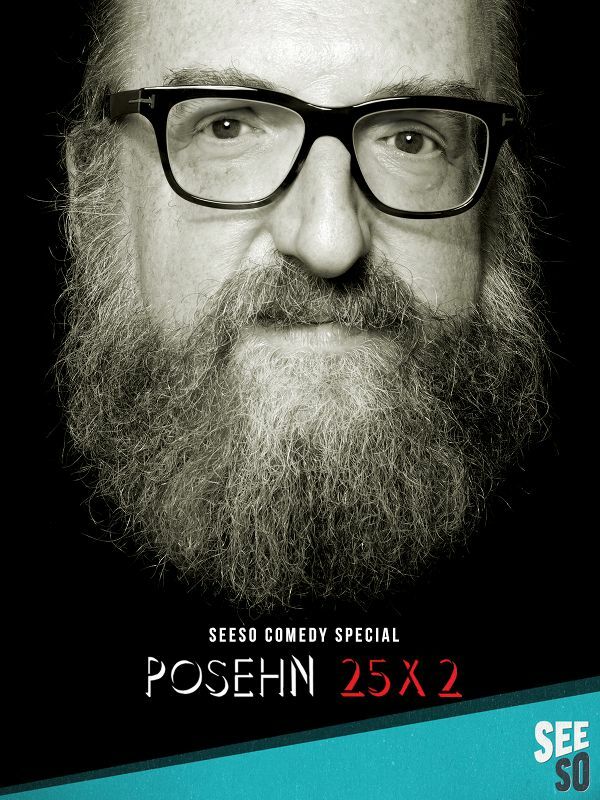 Comedian/actor/writer Brian Posehn will be shooting his newest One Hour Comedy Special, "Posehn 25x2" for SeesSo this Saturday, Ocrober 22nd at Revolution Hall in Portland, Oregon. Brian has been seen on Comedy Central's popular show, "The Sarah Silverman Program" and on tour as one of the original members of the "Comedians of Comedy". Besides writing and performing on HBO's acclaimed "Mr. Show", he has appeared in sitcoms such as "Just Shoot Me", "Seinfeld", "NewsRadio", "Everybody Loves Raymond", and "Friends". Brian has also appeared in several movies, including Rob Zombie's "The Devil's Rejects" and "Fantastic Four: Rise of the Silver Surfer", and will be in a new comedy/horror stop-motion film with T.J. Miller and Nick Swardson entitled "Hell and Back." His music video for "Metal By Numbers" has been viewed over two million times on You Tube and My Space. He is a regular on Late Night with Conan O'Brien and was a crowd favorite when he appeared on the Bob Saget Roast on Comedy Central. He continues to be a hit touring act in support of his album called "Fart and Wiener Jokes" and his new video for "More Metal Than You." His last Special "Criminally Posehn" can be seen on SeeSo. Brian is also writing a book to be released in 2017. You must live in the Portland area or be in Portland during the filming week to be eligible for tickets.